Zeliang would be inducting four new Cabinet ministers before the two-day Winter Session of the state Assembly which commences tomorrow morning. KOHIMA: In a late night political development, Nagaland Chief Minister T R Zeliang today sacked four of his Cabinet ministers following a reported move to topple his government. According to a release issued by State Cabinet Secretary Pankaj Kumar after 9 pm, Governor P B Acharya on the recommendation of the chief minister has relieved four Cabinet ministers of their portfolios. The four are Home Minister Y Patton, School Education and Parliamentary Affairs Minister Tokheho Yepthomi, PWD (Roads and Bridges) Minister Neikiesalie Nicky Kire and Minister for Environment, Forest and Climate Change Neiba Kronu. Highly placed sources said the removal was necessitated following their campaign against Zeliang even after the signing of memorandum of reconciliation between him and NPF president Shurhozelie Liezietsu on December 9. 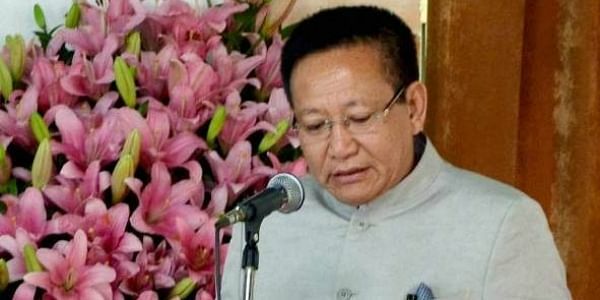 They also said that Zeliang would be inducting four new Cabinet ministers before the two-day Winter Session of the state Assembly which commences tomorrow morning. The internal crisis in the ruling NPF began in July after 36 MLAs joined Zeliang's camp to oust then chief minister Liezietsu, and the two camps signed a document to reconcile and re-unite on December 9.